LBD & ONESIES - A Lifestyle Blog: Street Belle Spring Giveaway! 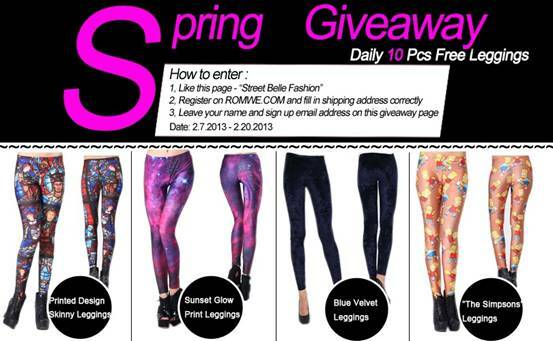 Free leggings on are up for grabs at the“Street Belle Fashion” page. 10 winners are picked daily! Click & Enter Now HERE! I follow you! (on gfc, Facebook, Twitter and bloglovin).